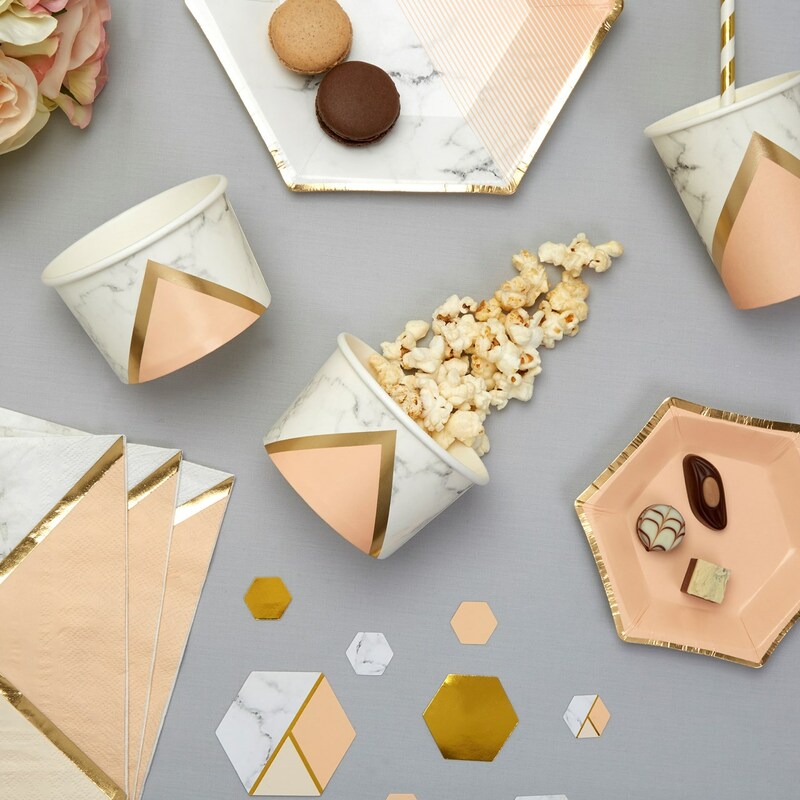 Make your sweet treats and savoury nibbles stand out with these bold tubs from our Colour Block Marble Peach collection which includes everything you need to create a stylish look for your celebration. Fill the tubs with nibbles, popcorn or crisps, or use them to serve party desserts such as ice cream or jelly. Each pack contains 8 Treat Tubs.